Ah Shields for Minecraft Pocket Edition/Bedrock the number 1 asked question, where?, when?, are they even coming? well today we finally have the answer and it's YES!! - It seems the developers have been pretty busy working on the most requested feature for bedrock and it might be coming alot sooner than we expected. 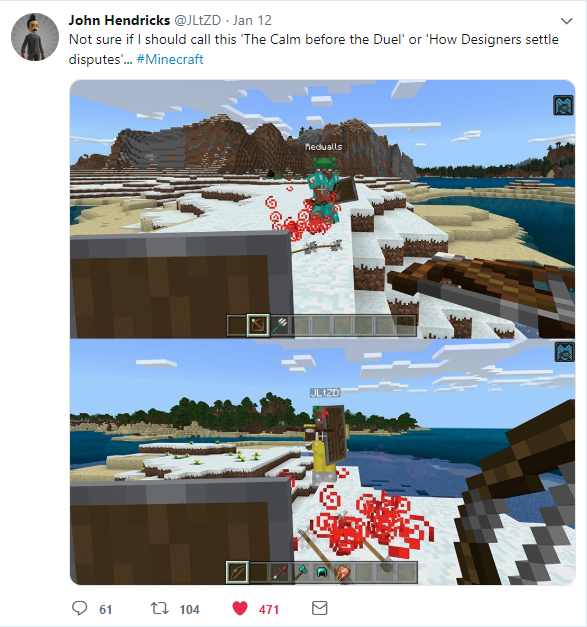 Teased over the last few days by the Minecraft team and developers, we've have a couple of cryptic tweets indicating they're being worked on currently. Below is all the tweets and images you need to see in order to get hyped for this feature. We do not know if it'll make the final version of 1.9 which is currently happening right now, or if it'll it's own separate update. As seen in the images there was no beta details shown at the top of the image, this is to prevent any confusion incase it doesn't quite make that specific update. - Blocking with shields is a thing. - No offhand inventory hot bar slot. 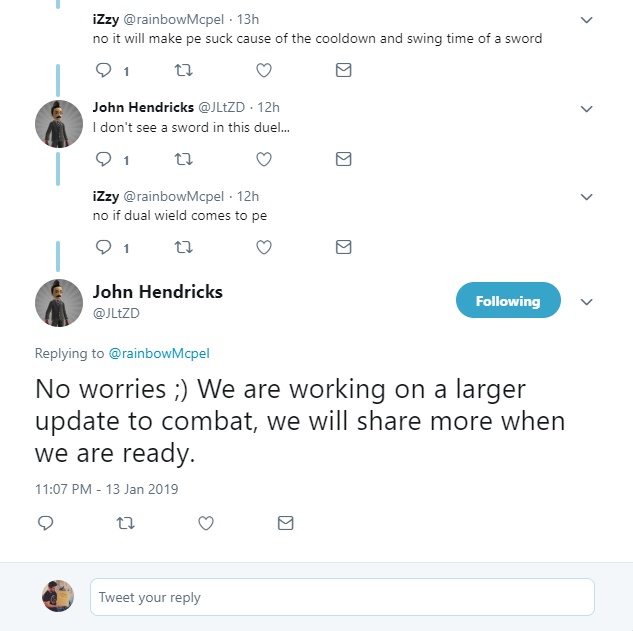 - Duel wielding crossbows is possible.